The cable guy has a new competitor: the anti-cable guy. He helps you cut the cord on traditional television services and hooks you up with alternatives. Most Canadians still watch cable or satellite TV. However, cord-cutting is catching on as more people seek potentially cheaper and more versatile viewing options. But not everyone has the technical chops to break with tradition. So enter the cord-cutting consultant, a hired hand who does the job for you. It’s a small but growing business model fuelled by expanding viewing options in the digital age. Among mobile operating systems in the U.S., Google’s Android leads Apple’s iOS by a margin of 53.8% to 41.5%, with Windows, BlackBerry, and others making up only about 5% of the total. Worldwide, Android is even more dominant, accounting for almost 85% of devices sold. From new delivery technology to higher-resolution screens, the world of mobile video delivery changed forever in 2014. In the process, companies such as Apple and Samsung have left us confused over whether we’re consuming more on smartphones, tablets, or something in between. Mobile video consumption in all its forms continues to rise dramatically. Ericsson projects that video will make up 50 percent of all mobile data traffic by 2019, versus approximately 40 percent in 2013. After factoring in the overall growth in mobile data, that means the mobile video market will be 13 times larger in 2019 than it was in 2013. The overwhelming amount of content is becoming an unwieldy mess. More and more content is being made exclusively for tablet and phablet consumption, although some estimates place laptop and desktop viewing patterns at an overall 77 percent for viewers’ preferred device types. One reason it’s harder to wade through all this premium content is the fact that content creators and providers each have their own proprietary apps and services. Netflix, Amazon, Google Play, HBO, Comcast Xfinity, and Showtime are a few of the several providers vying for consumers’ monthly subscription fees, and content available on each of these services is often only available on one premium service at a time. The use of an app to replace a television channel can easily be extrapolated; we’ve already heard HBO announce that it plans to pare off all its content into a subscription-based streaming service in 2015, meaning millions more users will have the HBO GO app on a mobile device of their choice. But in most cases, content can only be searched within the app itself, leading to unnecessary and time-consuming opening and closing apps to see if a particular piece of content is available. While discovery of relevant content isn’t easy, third-party service providers are beginning to address the issue, with each providing a website or app that attempts to curate the wild world of app-based premium video content. Streaming video search engines and apps—such as Filmgrail, Rovi, or Can I Stream It—offer a user the chance to type in the name of a film, movie, episodic series, or—in some instances—a sporting event, and receive back details on how many (or how few) streaming services the particular piece of premium content is available for viewing. Pre-roll, mid-roll, post-roll, dinner roll? What works, and which ones make viewers click away instead of waiting for their content? Testing shows that too many pre-roll ads annoy customers. While pre-roll may seem the best placement for the advertiser, it’s also the placement point at which advertising can be most easily ignored by the viewer. Post-roll ads have pretty much been abandoned, with the exception of those clever “subscribe” requests on some of YouTube’s better-known channels. To hold viewer attention, nontraditional or viral ads continue to be most effective, as they tend to stick better in consumers’ minds and generally leave a better impression of the sponsor’s product or service. Nothing spreads more effectively than word-of-mouth or social network sharing. But what if viewers just won’t sit through the ad? It would be wise for video advertisers to take a cue from podcast advertisers. Some of the most popular podcasts online today use great creativity when recording their ads and credits. This American Life listeners will sit through the entire credits and sponsor ads at the end of the program just to hear what quote from the show would be taken out of context and used to embarrass Torey Malatia. There’s also always a different reader in an unusual location recording ads for Radiolab’s sponsors, and even tech companies have risen to the occasion: An ad for MailChimp at the beginning of the Serial podcast has taken on a life of its own, getting its own remix and high customer retention states. If video can translate some of these audio-only podcast advertising ideas into memorable video ads, engagement and acceptance will increase compared to traditional ads. Two big technology areas emerged into their own in 2014: MBMS and HTML5. Multimedia Broadcast Multicast Service, or MBMS, is a point-to-multipoint content delivery technology. In development for several years and recently made more viable within the AWS spectrum being used on LTE networks, MBMS offers hope for multicasting broadly viewed content such as a national or even international sporting event or breaking news. On the mobile browser front, another trend is emerging. Since most mobile OS browsers support modern web video technologies such as HTML, the type of mobile OS utilized becomes less important at least for non-encrypted content. Yet while proprietary streaming services—for instance, Netflix, which currently cannot be used within a mobile browser—are currently stuck with an app-only delivery approach, a number of mobile rights management and encryption technologies are finding their way into the humble browser. Still, Nielsen revealed that smartphone owners spend 86 percent of their time using apps, compared to 14 percent accessing content through the mobile web browser. In 2015, we probably won’t see a “TV” app on your phone that can switch through channels the way your home set does, and maybe not ever if the app approach mentioned at the top of this article continues unabated. Second, as we touch on in the State of the Enterprise article, it could even be that MBMS and multicast derivatives are abandoned entirely, replaced by peer-to-peer or other hybrid solutions. Third, as content creators and providers each create their own “walled garden” apps, consumers will run out of both screen real estate and expendable income for multiple subscriptions. In the end, to keep their mobile devices manageable and their pockets at least partially full, we predict that consumers will trend toward paying for just a few services from well-known content providers. What’s less certain is whether these paid services will tip more towards those with the largest variety (Netflix and Amazon) or those with the must-see programming (HBO and major-league sports apps). Regardless of the outcome of the app war, video search tools will gain more relevance as available content begins to grow at exponential rates. Finally, if promises of cheaper 4K televisions continue—as they likely will—consumers will grow more used to the idea of viewing 4K content in 2015. This will lead to the natural succession of mobile content moving from 1080p, which is the current baseline standard on phablets, to 4K content viewing demand for mobile devices. Qualcomm’s flagship Snapdragon 810 already enables 4K processing for mobile devices, and we expect it will add the ability to localcast to second screens in 2015 as early as March at the Mobile World Congress show in Barcelona. As we leave 2014 behind, and anticipate new delivery technologies, including cellular multiplexing for traditional webcast delivery from the field, it’s safe to say that mobile consumption will continue to rise. While it might not outpace laptop and desktop online video consumption in the next year, the end of 2015 should set the stage for 2016’s tipping point into mobile delivery that equals that of content delivered to the desktop, the laptop, and even the set-top box. In fact, one might even wade far enough into the prediction swamp to envision a time that all large-event live over-the-top (OTT) content will be delivered via mobile networks to further blur the line between what’s mobile and what’s traditional over-the-air television. This article appears in the 2015 Streaming Media Industry Sourcebook as The State of Mobile Video. Apple Inc. is in talks with U.S. media companies to offer a slimmed-down bundle of channels this fall as part of an online streaming TV service, the Wall Street Journal reported, citing people familiar with the matter. The service would have about 25 channels, anchored by broadcasters such as ABC, CBS and Fox, and be available across all devices powered by Apple’s iOS operating system, including iPhones, iPads and Apple TV set-top boxes, the newspaper said. 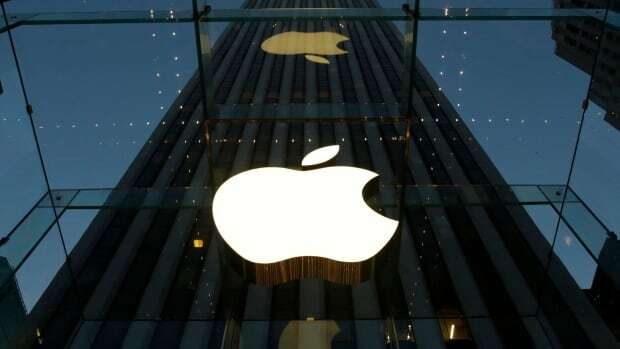 According to the report, Apple would be aiming to price the service at around $30 to $40 US a month. There were no details in the article about how much the service would cost, or whether it might be available, in Canada. HBO plans to roll out its HBO Now streaming-only service this year, and CBS launched its All Access online streaming service last October. HBO Now is not offered in Canada due to exclusive rights held by CraveTV for streaming HBO content. All Access is only available in the U.S.
Canadian media companies have also jumped on the digital TV trend to compete with rival Netflix. In November, Rogers and Shaw launched the joint subscription video venture Shomi. Bell’s video-on-demand service CraveTV, which launched in December, is available as an add-on to most TV customers of Eastlink, Telus and Bell. 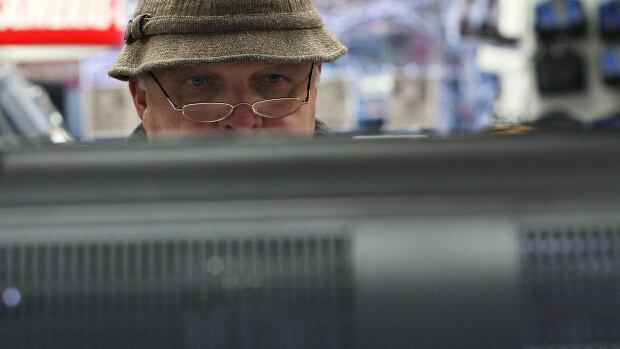 Nearly one in 10 anglophone Canadians say they no longer watch any TV shows the old-fashioned way and only stream or download content online, according to a new study. In a telephone poll with 4,002 Canadians conducted late last year on behalf of the Media Technology Monitor, nine per cent of the respondents said they had fully transitioned from watching TV broadcasts to online content. That number has tripled since MTM began asking about the trend in 2010, and was up 50 per cent compared to a 2013 survey. Almost 40 per cent of the respondents in the most recent poll said they now view Internet content on their TV, which was up almost 50 per cent from 2013. MTM observed the numbers of anglophone Canadians who said they were Netflix subscribers grew from 29 per cent in 2013 to 38 per cent last year. Thirty per cent of the Netflix subscribers said they had figured out how to access the U.S. version of the streaming service. When asked what other kinds of online content they watched, 66 per cent said they streamed YouTube videos, 47 per cent said they screened TV shows online, 39 per cent said they downloaded or streamed full-length movies, 34 per cent watched newscasts and 29 per cent sought out sports videos. U.S. television viewership declined by 12 per cent in January compared to the same month a year earlier, the eighth consecutive double-digit drop, according to new data from ratings firm Nielsen. The main reason for the drop-off is that viewers are switching to streaming video services like Netflix, Hulu and Amazon Video, say analysts Anthony DiClemente and Benjamin Black at investment bank Nomura. Every media company that Nomura tracks saw viewership declines in January, according to the Nielsen data, but none fared worse than Viacom, which owns channels such as BET, MTV, CMT, Nickelodeon and Comedy Central. Overall ratings across Viacom properties were down 23 per cent in January compared to the same month a year earlier. To encourage innovative ways of presenting content and the creation of compelling content for digital media, including Internet and mobile video services, the CRTC allows companies to provide exclusive content to their subscribers, as long as it is not created mainly for traditional television. On March 16, 2015 the Canadian Radio-television and Telecommunications Commission (CRTC) ruled in favour of innovation by dismissing a complaint which stated that Rogers Media was granting undue preference to its subscribers by providing them with exclusive content through its online service GamePlus.